Grant is the Director and founder of the KPMG Enterprise: Centre for Family Business in Ottawa, Canada and for the past twenty years, his professional services have been dedicated solely to assisting family businesses in working through their management and ownership issues with a focus on the transition/succession process. Grant recently joined Walsh Family Business Advisory Services, a consulting company founded by his daughter Danielle Walsh as Chair of the Board of Advisors. He is working alongside her to offer family business succession planning services to companies in Canada, the United States and abroad. 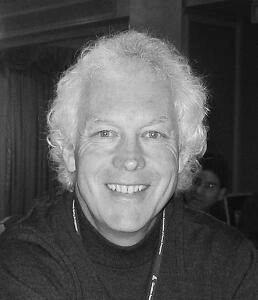 Mr. Walsh is an active member of CAFÉ (Canadian Association of Family Enterprise) and serves on both the National Board and the Board of the CAFÉ Ottawa chapter. He frequently writes articles on family business and has authored several publications; one on behalf of Agriculture Canada entitled “Managing the Multi-Generational Family Farm” with his most recent publication entitled “Family Business Succession: Managing the All Important Family Component”. Grant is often called upon to make presentations locally, nationally and internationally as well as providing advice to local business groups and the local media on family business issues. Grant is also a long-standing member of FFI (Family Firm Institute). Mr. Walsh’s career background includes; corporate finance, sales and marketing within a large multinational pharmaceutical company; public administration in a large teaching hospital; owner/manager of a local residential construction firm and associate professor of graduate studies (Finance and Strategic Planning) at the University of Ottawa.